Merit Medical Systems Inc., a manufacturer and marketer of proprietary disposable devices used in interventional, diagnostic and therapeutic procedures, announced Dec. 17 that it has acquired substantially all of the assets of Vascular Insights LLC, based in Quincy, Massachusetts. Vascular Insights’ primary assets are the ClariVein IC and ClariVein OC specialty infusion and occlusion catheter systems, which have been utilized in more than 120,000 cases to treat superficial venous disease, particularly below the knee and venous leg ulcers. The ClariVein systems address a $700 million global market. The ClariVein IC system has 510(k) clearance from the FDA, the ClariVein OC system is CE-marked, and the systems are covered by 43 patents issued worldwide. 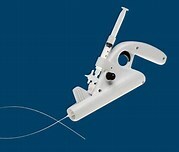 Founded in 1987, Merit Medical Systems Inc. is engaged in the development, manufacture and distribution of proprietary disposable medical devices used in interventional, diagnostic and therapeutic procedures, particularly in cardiology, radiology, oncology, critical care and endoscopy. 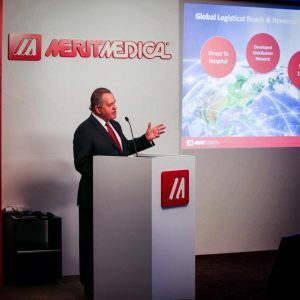 Merit serves client hospitals worldwide with a domestic and international sales force and clinical support team totaling in excess of 300 individuals. 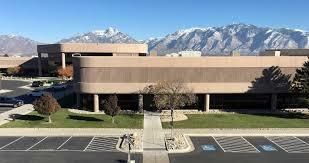 Merit employs approximately 5,600 people worldwide with facilities in South Jordan, Utah; Pearland, Texas; Richmond, Virginia; Malvern, Pennsylvania; Rockland, Massachusetts; San Jose and Aliso Viejo, California; Maastricht and Venlo, The Netherlands; Paris, France; Galway, Ireland; Beijing, China; Tijuana, Mexico; Joinville, Brazil; Markham, Ontario, Canada; Melbourne, Australia; Tokyo, Japan; and Singapore. Parr Brown Gee & Loveless provided legal counsel to Merit. SunTrust Robinson Humphrey served as the financial advisor to Merit. Latham & Watkins LLP provided legal counsel to Vascular Insights. Oppenheimer & Co. Inc. served as the financial advisor to Vascular Insights. Interested readers should consider non-GAAP financial measures used in this release in addition to, not as a substitute for, financial reporting measures prepared in accordance with GAAP. These non-GAAP financial measures generally exclude some, but not all, items that may affect Merit’s net income. In addition, they are subject to inherent limitations as they reflect the exercise of judgment by management about which items are excluded. Merit believes it is useful to exclude such items in the calculation of non-GAAP earnings per share and non-GAAP gross margin because such amounts in any specific period may not directly correlate to the underlying performance of Merit’s business operations and can vary significantly between periods as a result of factors such as new acquisitions, non-cash expenses related to amortization of previously acquired tangible and intangible assets, unusual compensation expenses or expenses resulting from non-ordinary course litigation, governmental proceedings or changes in tax regulations. Merit may incur similar types of expenses in the future, and the non-GAAP financial information included in this release should not be viewed as a statement or indication that these types of expenses will not recur. Additionally, the non-GAAP financial measures used in this release may not be comparable with similarly titled measures of other companies.